Subrata Mandal, a former senior economist at the National Institute of Public Finance and now an associate professor of Economics at the Ambedkar University says that while a petrol hike was inevitable, the government should not rush to increasing prices of diesel, kerosene and LPG. While speaking to rediff.com's Priyanka, he also said that the government needs to rethink its over-dependency on imported petrol, and come up with ways to stabilise the Indian rupee. What do you think is going on with the balance sheets of the major oil companies in the country? Why are they in heavy losses? If you look at their balance sheets, you will find that they have been paying dividends for the last 2-3 years. My question is, how are they paying dividends if they are not making profits? Therefore, one has to see the way balance sheets are made up. If you look at it carefully, there are various transfers between ONGC Oil and Natural Gas Corporation) and the government, and apparently if you take away the inputs from the transfers, it is not clear whether the company is under losses or not. What you see on the balance sheet is that major oil companies such as the Indian Oil Corporation are paying dividends and it is just not clear whether they are making profits or losing money. In a press conference, IOC said that they were losing a few crores daily, and they had no other option but to increase the prices of petrol. So, how are they paying dividends if they are claiming to incur losses? See, when they are saying losing money, one needs to question what criteria they are taking into account to calculate the loss. Where are they losing on, is it on the recovery or the cost price. Are they not able to recover the costs at which they are selling the product? Usually when they say losing, the reference point is that they are not able to recover. Also, I am not sure whether they are selling below the cost price, which means, when you are operating a refinery and spending on operating the refinery, there is cost involved in refining the product and selling it Are they not able to recover the cost incurred in the process by selling the product? It is not clear. Why then such a steep hike in petrol prices? Was it completely inevitable? Well, the crude prices have been fluctuating globally, for the last few years. It has fluctuated enormously from 40 USD/ barrel to 140 USD/barrel. This is very sensitive issue. It is one market which is deeply impacted by demand and is influenced by global politics. Now, petroleum is a primary input in our economy. And it is never good for an economy to have fluctuating prices of products that are primary inputs. The government needs to intervene and make sure that the fluctuation is not faced by the consumer. In fact, International Monetary Fund published a paper recently that pointed out that many of the developing countries, such as China, Sri Lanka, Vietnam, Thailand and Malaysia and Indonesia, had cushioned the hike in petrol prices in their respective countries and when the prices fell globally, they made up for it. All of them have a type of fund, a certain mechanism to absorb the fluctuations and adjust accordingly. They draw money from the fund when the prices are high, and they contribute money to fund when the international prices of petrol go down. India does something like this, too. But the government's popular argument is that they have de-regularised the oil sector and they have no control over oil companies increasing or decreasing petrol prices? What does this mean? The de-regulation is only theoretical, as I see it. All oil companies, particularly the biggest oil marketing company, is a national company and is controlled by the government. Obviously, the government is setting the price no matter what it says. However, theoretically, it is de-regulated in a sense that oil companies and not the finance minster or the petrol minister announces the price hike. 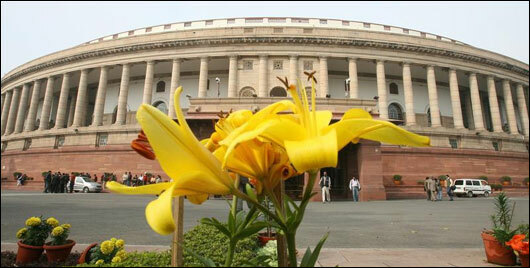 The oil companies waited for the parliament session to get over to announce the price hike. Is there no political connection here? No matter how much the government claims the prices are deregulated, it is never practically free. The price hike may have actually been the need of the hour. Petrol, prices have gone up and the companies might have needed a short term fix. On the part of the government, such decisions which will affect the inflation should be made when the overall price situation is in a downward trend. A couple of months ago, the wholesale price index and the retail price index where down to single digits and the inflation-related expectations were low. That would have be good time for such a decision. But the government was facing elections in four states. Now is a bad time to do it when the inflation is back to a double digit and there is already expectation of a higher inflation building up. But was the price hike absolutely necessary? 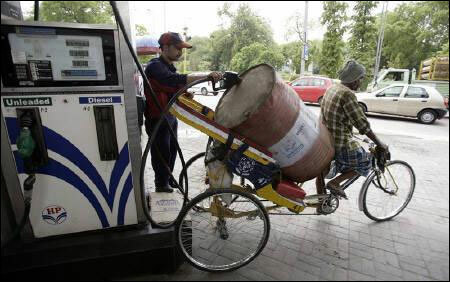 The petrol price hike is ok, but they should not go ahead with diesel price hike. If they stop with a petrol price hike, then it is fine, because it was somewhat expected. But if the government okays a diesel price hike as well, then the inflation is bound to go up, which in turn will affect many other sectors such as infrastructure and agriculture. Also, if you don't hike the price of diesel, people will shift from buying petrol cars to buying diesel cars. That is another type of problem. So, every decision does not have a mere singular affect. But an increase in the prices of diesel, kerosene and LPG has always followed after an increase in petrol prices? Can these two commodities be treated differently? There is a major difference between the hike in prices of petrol and the rest, that is, kerosene, and LPG are explicitly subsidised and diesel, the way it's pricing is done, it is available at prices comparable to subsidised commodities. Petrol is free, it is not subsidised. I don't think with an increase in prices of petrol, an increase in the prices of the rest will automatically follow. Also, touching the kerosene is very sensitive political issue. So, I don't think they will increase the prices across the board. How will this step affect India's fiscal deficit, in short and long term? If you look at the accounts of the oil companies, then you will see the government also make contributions to the companies, because these companies also pay for the burden of subsidises. Hence, the burden of subsidies increases pressure on fiscal deficit. So, if the subsides are not there, it will not put pressure on the fiscal deficit. What will be the effect on the margins of oil producing companies? Other than the OMCs does anyone else stand to gain? There are two types of oil companies. 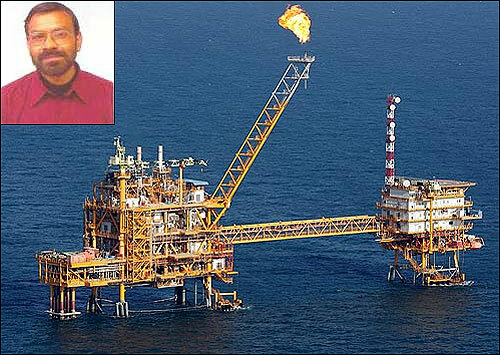 ONGC and GAIL do not market oil, they just extract oil. The later are refinery and marketing oil companies. The price hike is actually with the oil marketing companies, the other ones ONGC and GAIL they do not market prices, but I hear ONGC also bears some amount of subsidy on LPG. Otherwise, ONGC and GAIL will not be impacted. But companies like Indian Oil Corporation, they will not make much recovery and their balance sheets will look much severe. What other alternatives should the government have looked at to avert an increase in prices of petrol? A large amount of what people pay is in the form of taxes. If you compare the taxes paid on petrol worldwide, you will find that Indians pay huge amount of tax on petrol. When prices go up, then the government should have reduced the taxes in order to compensate. In turn, the government would have made less in earnings. But the problem is that the government itself is in very high fiscal deficit situation, and it cannot afford to give away any option of earning revenue. And if it does, it suffers an even higher fiscal deficit. 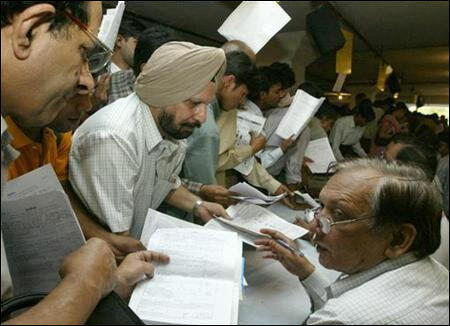 Is it thus a result of the UPA government's mismanagement? How could they have managed it better? You have to analyse this at several levels. At the macro management level, the problem has come about because of two reasons. First, it is because of India's dependence on imported oil, and second is India's problem with the falling rupee value, which is affecting the exchange rate, and it is making imports costlier. For example, yesterday the oil prices fell after Iran signaled that they are ready to operate their nuclear facilities. Hence the oil prices fell in the US. 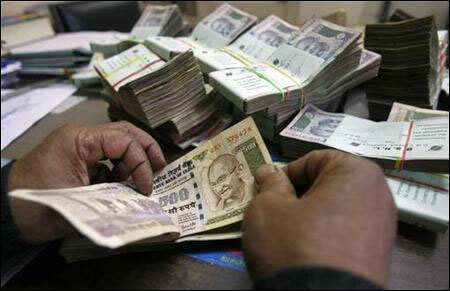 But it did not benefit India because the higher exchange rates as a result of the lowering value of Indian rupee. Now the correction also will have to be at a macro-economic level. The exchange rate has to be stabilized, and the import ratio has to be reduced and the domestic licensing policy has to be effectively implemented and managed. What are the other sectors that would be affected, directly or indirectly with this price hike? 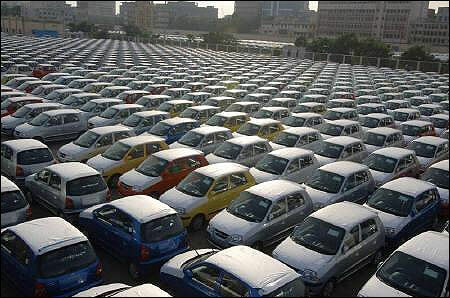 The automobile sector would be most affected, of course. In the short term it will obviously affect the rate of inflation. In the long run, as the country industrializes its field requirements will continue to grow. I hear that India and China's demand for petroleum has pushed up the global petro prices and as the two countries grow petrol prices will become dearer. India should thus look at developing its own resources and also look at alternate sources of energy. Why is it such a bad thing if people start using diesel cars? The impurities in diesel are much more. It is more polluting as compared to petrol cars. There have been widespread protests across the country after the petrol prices were hiked. You think that the middle class cannot absorb the steep hike? Do you think the hike could have been introduced in phases? In relative terms, the population who is going to get impacted by the hike is from the affluent class. This is simply because they possess vehicles and not a large percentage of population in India possesses vehicles. But even this percentage of population lives in tight situation, mainly because a majority among them is living on margins. For all of them, it is going to be extremely difficult. The affluent people in India are not as affluent as their counterparts in the rest of the world. The price hike should have probably been done in stages and at a time when inflationary expectations are low. What corrective steps can the govt take to get out of this mess? In the short term, the government should wait a bit, and not rush to increases prices of kerosene, diesel and LPG. They should allow the impact of this price hike to settle down. In a year's time, the prices of petrol in the international market should start coming down. The US is not doing too well, and the European economies are also not faring too well. 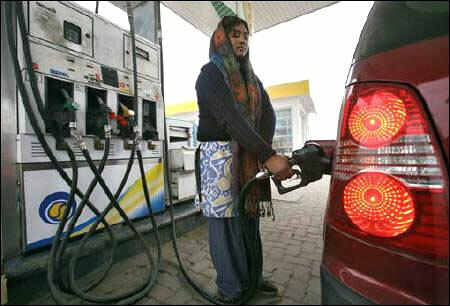 The demand for petrol picks up when the rate of economic activity is very high. Also, at the same time, the currency of India should not start losing its power, in which case the import prices will be very high. We have to take measures to ensure that the currency stabilizes. In the long term, the government needs to take care of a couple of things. In last 5-6 years many consultancy firms have started believing that the court, law, business atmosphere in India is very tedious and it is not a friendly place to do business in. This has to change. Second, infrastructure projects should be implemented in a time bound manner. The public delivery systems and the governance must improve. The industrialisation phase in India is yet to pick up. We are still a very young economy. For instance, Japan is so heavily industrialised, what more can possibly happen there. Investments in Singapore have reached saturation. In India, there is huge potential to grow and for investments in all sectors. There is lot that can be done in our country. We have a huge inherent potential for growth. It is not going to suffer from demand deficiency. At the same time, we have a population which is not only scattered but also lives at different historical stages- tribes, villages, cities and mega cities. Hence, it comes down to proper governance and inclusive growth so that advancements percolate to all sections.